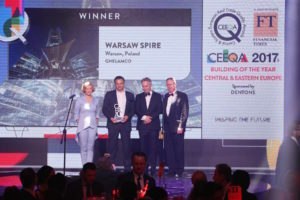 Ghelamco’s Warsaw Spire (Building of the Year CEE and Green Leadership Building of the Year), and JLL’s Agata Sekula (Industry Professional of the Year) shone brightest as an audience of nearly 850 sector leaders from more than 50 countries celebrated the successes and success stories of the New Europe property markets at the 14th edition of the CEEQA Gala & Industry Awards in Warsaw. The Q22 office project by Echo Investment, Sonae Sierra and Caelum Development’s Bucharest retail project ParkLake, Griffin Real Estate’s Hala Koszyki revitalisation in Warsaw and Al Habtoor Group’s refurbishment of the Ritz Budapest Hotel also tasted success in the building awards section while Dentons, Skanska and JLL continued their runs of dominant leadership in the legal, green building and capital markets advisory categories respectively. 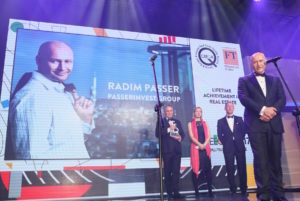 Slovakia-based HB Reavis Group continued their rise to regional pre-eminence, investor Invesco Real Estate and lender Erste Group Bank lifted their first ever CEEQA statuettes, perennial market leaders Panattoni Europe, Cushman & Wakefield and Colliers International consolidated their market standing with more awards on the night, while Gleeds chipped in with a rare victory and relative newcomers Rockcastle Global Real Estate rubber stamped the importance of the recent South African investment invasion as this year’s Rising Star, before the legendary no-limits afterparty got into full swing with Macy Gray leading the line. 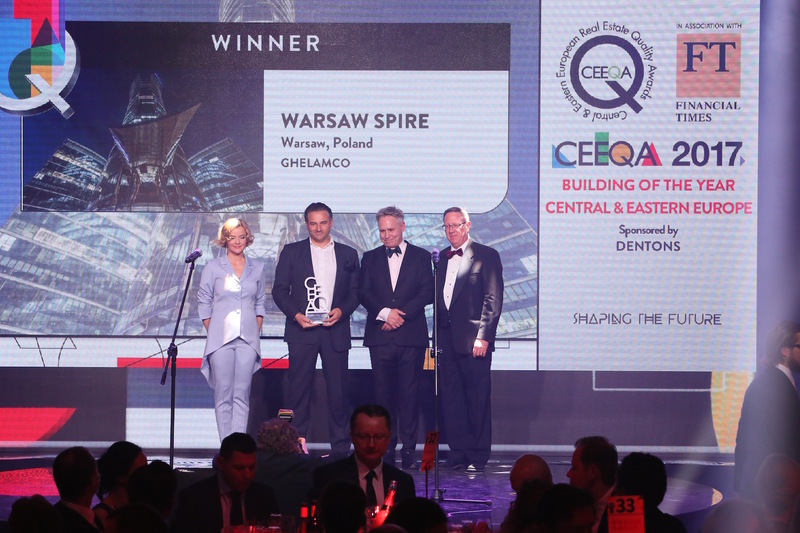 The CEEQA awards are the sector’s most respected industry recognition, the 2017 edition was organised in association with the Financial Times to reward excellence and to showcase the achievements and opportunities of the New Europe real estate sector to the international investment arena. 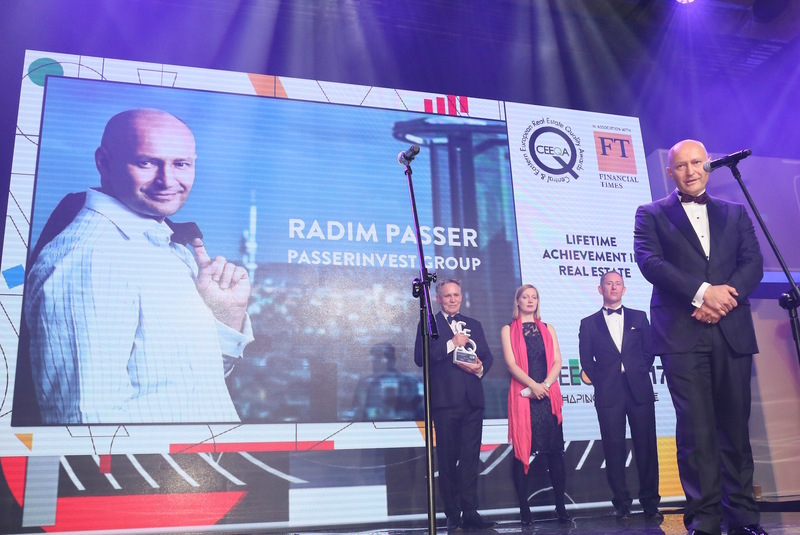 At the centre of the evening’s proceedings was the garland award for Lifetime Achievement in Real Estate to local Czech veteran developer, founder and chairman of Passerinvest Group, Radim Passer, for his significant and durable contribution to the sector. During the sumptuous gala dinner catered by Belvedere with wines by Mielzynski and Perinet, and champagnes by Moet Hennessy, the evening’s awards ceremony was compered for the ninth year running by leading Polish broadcaster Monika Zamachowska and was serenaded by Wroclaw based brass orchestra Dziubek Band, a memorable highlight of which was a solo rendition of Delilah by 14 year old Poland’s Got Talent contestant Adam Kaczmarek during the awards ceremony. 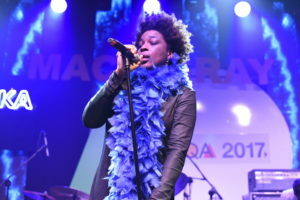 But it was the traditional no-limits CEEQA after-party that will live long in the memory with an unforgettable live performance by music legend Macy Gray. The party continued late into the night with a kaleidoscope of local and international hospitality, production and entertainment highlights including a stunning video mapping show, a live graffiti show by street artist Why Duck? celebrating TriGranit’s 20th anniversary, award winning “beatboxer” Dharni, Milan based DJ/producer Gioli Lipari and renowned street musicians from Saint Tropez, Hat Trick, with DJ The Saint holding the fort deep into the night. 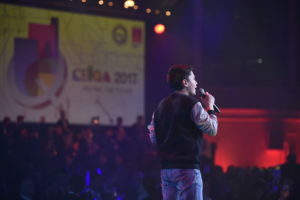 SAVE THE DATE: With this year’s award winners announced, plans for the 15th edition are underway with the date for the next CEEQA Gala set for 25th April 2018. Full details including awards schedule to be announced in November 2017. 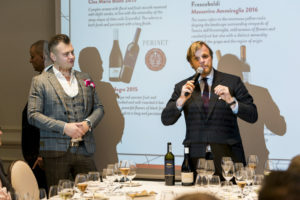 The final judging of the 2017 award entries took place at the annual Jury Cocktail & Dinner at the Bristol Hotel on 25th April, the night before the CEEQA Gala, an arrangement that ensures maximum confidentiality of the results and surprise factor for the eventual winners. 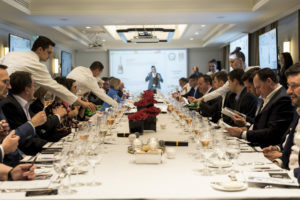 The meeting of the 2017 CEEQA Jury began with a champagne tasting hosted by Moet Hennessy of rare champagnes followed by a wine tasting experience over dinner including wines from the Spanish Perinet and Italian Frescobaldi and Mazzei vineyards as the candidates’ scores from the first round of judging in February were deliberated to decide the final winners in 23 award categories. The election of jury members each year as well as all aspects of the judging process is supervised by globally trusted consulting firm Deloitte. The Industry Operators group of jurors are elected in cooperation with CEEQA’s Agent Partners group comprised of the regional business leaders of the most important global commercial real estate agents active across the New Europe sector CBRE, ColliersInternational, Cushman & Wakefield, JLL and Knight Frank.